CALGARY—Amateur scientists in Canada have helped researchers discover a new type of northern lights. The glowing ribbon of purple—and sometimes green—light that runs east-west in the night sky has been observed and photographed by aurora borealis chasers for years. “My involvement is being the goofball who named it Steve,” said Chris Ratzlaff, a Calgary photographer who is co-author of a research paper published March 14 in the journal Science Advances. What has been learned by scientists at NASA and various universities is that the phenomenon is associated with a subauroral ion drift—a powerful current created by charged particles in the Earth’s upper atmosphere. The arc is an optical manifestation of that ion drift. Eric Donovan, an associate professor in the department of physics and astronomy at the university, spotted an event that looked “Steve-like” and reached out to the group. Ratzlaff said several aurora chasers attended a guest lecture in 2014 by NASA physicist Elizabeth MacDonald, who was speaking to Donovan’s team. 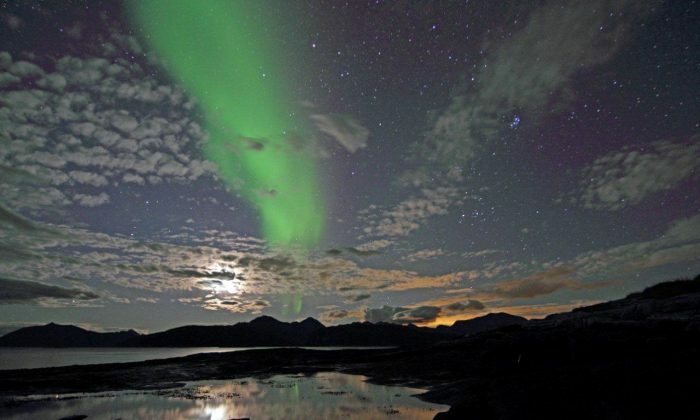 “We’d already been corresponding with Liz on her Aurorasaurus project,” he said of her work to capture descriptions of northern lights on social media to help researchers better understand them. After the talk, Ratzlaff said, they went to a pub with MacDonald, Donovan, and some other scientists. “Some of our members were showing Eric some photos that they had taken of the northern lights in the Calgary area and one of the photos was Steve,” he said. The photographers had been seeing the phenomenon fairly regularly and thought it might be a proton arc, another type of aurora. Donovan told him they couldn’t call it that, because it didn’t fit the physical properties. He suggested a non-scientific name. “So I proposed we call it Steve and it stuck,” Ratzlaff said. It’s a reference to the animated movie “Over the Hedge” about animals that encounter a giant hedge in their neighbourhood and get scared because they don’t know what it is. Ratzlaff said Steve was just meant to be a temporary name, but scientists have decided to keep it—only it now stands for Strong Thermal Emission Velocity Enhancement.